We all know Italians love their pasta but it’s different in Italy. It really is! 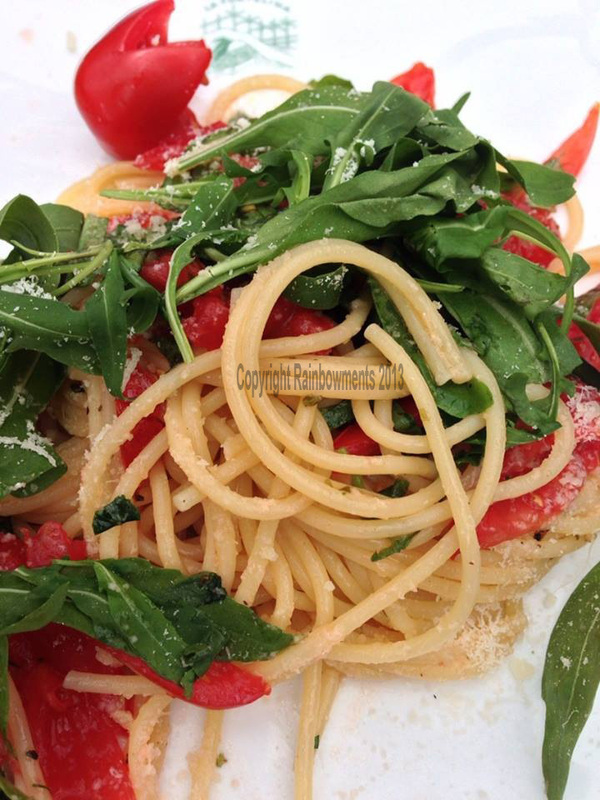 Pasta is made from whole grains and is cooked to perfection … al dente. They keep it simple. Only a little gravy (sauce) is used. Vegetables are slightly cooked and crunchy. The overall experience is a great dish that keeps you coming back. Last year we went to Rome f or 10 days to be Romans. The food was so good that Jo Anne said to me, “I don’t think I can ever eat Italian in America again!”. The food on large tour groups is not so good. You can’t cook well for a bus load of people who want to eat and run. Get off the tours and into the small Trottaria’s and enjoy eating as the Italians do. They eat well, slowly, converse with each other and enjoy life more than we do. The picture is a pasta dish we had in Capri. Al dente pasta, arugula and tomatoes. The tomatoes smelled and tasted like tomatoes. This was a simple experience we will always remember. Eat well and enjoy Europe! Remember Pasta like Alfredo is not really Italian. It was invented by an Italian in Rome for Americans. You can find it in Italy in touristy places but not in the restaurants Italians eat in. If it’s on the menu … keep walking!